Price: Varies. For $17 buyer can get tips, for $37 the product. Also, there are upsells. For $197 person can attend one-week classes conducted by Jamie Lewis. $97 plan facilities six months training, and $287 plan unravels the strategies Jamie Lewis uses with the product. Profit Injector is an affiliate marketing gig launched on January 7, 2019. It is a general niche product designed to utilize existing YouTube links that have not been monetized. The product entails placing ads in the video description of such links. Video marketing is a popular contemporary marketing method. Video content has already been acknowledged as a powerful one for traffic generation. This is because it can be used effectively on various social media sites to bring in traffic. The product is developed and sold by Jamie Lewis, a well-known name in the field, along with Matthew Tang and Tom Luna. Together this team has offered 6 successful affiliating marketing products so far sold on Clickbank. Check an earlier post on earning money with ClickBank products here. It is a legitimate tool offering passive income through affiliate marketing using YouTube links. There is a ClickBank account linked guarantee. It suggests that if the profits as projected are not materializing for a specific period, the tool purchaser would be entitled to refund of the amounts paid. The process is simple and lucidly explained in a video comprised of 7 training workshops. There are several tips given that can enhance the user’s grasp on how to use even other online resources such as social media more effectively. It is a rather expensive tool with no guarantees in so far as regular passive income being generated by it for 2-3 years or even more. Though the price begins at $17/$37 depending upon the product chosen, there are three upsells, i.e., $197 as “one time fee” for training class by Jamie Lewis, another $97 for training classes for six months by others, and $297 for “Profit Injector Business” in a “box” consisting various successful strategies. It is time-consuming because the person has to locate YouTube links that have not been utilized, and will have reasonable traffic in the future. YouTube links have a limited life cycle, i.e., they earn rapidly during the first few months. After that, the traffic trickles down drastically. Therefore, new links have to be located regularly, and their owners have to be contacted and convinced, terms negotiated, a contract is drawn, and risks gauged. Not much would be left in the hands of the person for a long time since profits will have to be shared with the person whose YouTube link is now monetized. Therefore, it will take fairly long, i.e., approximately a year or two to recover the initial investment. Owners of YouTube link might also change their minds after a few months. The product is sold through a site that lacks legal pages that would be about privacy and terms and conditions. Profit injector designed for people looking at earning passive income online using video links. Therefore, the target market consists of MMOs (people into online money making), eCommerce enterprises, and affiliate marketers. You should be in no hurry to recover initial investment, and also have some time on hand. The time could be approximately 2 hours each day, to devote to this endeavor. To generate decent passive income, you should also be using a basket of other marketing tools. This is because this tool cannot generate enough money to live on comfortably. However, it is an ideal product for beginners as it is a reliable product. Profit Injector offers sufficient training on affiliate video marketing so that you can understand other products available in the market and how to optimally use them. It may take at least 2 to 3 years before this can generate acceptable returns without as much time and resources being devoted to it. After all, profits would have to be shared with the person whose video link is to be used for inserting the marketing content. The training at Profit Injector consists of a software tool facilitating video marketing and training module. It can teach you how to start video marketing from scratch, how to establish subscriber base, and create profitable content for the channel, apart from finding and connecting with owners of profitable channels for developing a contractual relationship. In addition to these, the product offers hacks, tips, and tricks for growing channel, and periodically becoming viral. Unlike other affiliate marketing initiatives, this method is almost perpetual without any saturation point. A “free” ClickBank account is mandatory for using this tool. So Click Here To check Out Profit Injector At ClickBank. Profit Injector has 3 upsells, from training and done-for-you campaign as shown below. Anyone who`s been online long enough knows upsells are not what most people want. This is a one-on-one over the shoulder twice a week with Jamie where you can to speak to him and ask any questions you may have. Upsell #3 gives you access to Jamie’s most successful Adwords campaign for every niche. These campaigns can be plug and play to your own Adwords & other ad networks of your choice. A quick video explaining how you`ll make money. Module 3 is just a keyword tool that shows you how to find keywords. You learn how to reach out to a video creator on Youtube. This module is a3 page PDF explaining how to succeed on YouTube. These are 13 videos explaining how the system works. Not much here, it just explains how to outreach/approach video owners and convince them to let you use their video and the two of you share profits. Again nothing much, a letter template you can use should you feel tempted to buy rights to a youtube Video and channel. I think this is self-explanatory, just sign up earlier. Jamie shares with you sources he uses to run his online business. I did not explain much about the courses at Profit Injector because, in my opinion, they do not offer much to talk of really. Though the product is legitimate for now, it will be a while before the money starts trickling in and it will take much longer to recover the initial investment. Therefore, it is difficult to earn much from it. Earnings will also dwindle if time is not devoted to it regularly. Finding YouTube links that are not monetized and will have sufficient traffic in the future is a time-consuming process. 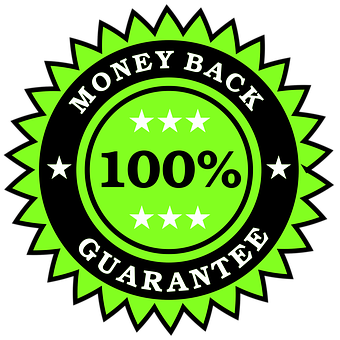 The only saving grace is the ClickBank’s “money back guarantee”. The guarantee period depends upon the upsell plan that is selected. If you`re still asking what is Profit Injector, this is a legitimate product to help you make money online although not everyone can benefit using the program. It also offers a refund of the amount. It requires patience to learn the tricks of the trade from scratch, especially for those who are new to video marketing or making money online. Returns promised are slightly on ambitious side, and many new to the field are likely to lose patience, effectively losing substantial amount as the initial investment. The product is designed in such a way a newcomer is not likely to gain much. Even without opting for one of the upsells. Though the basic product cost, i.e., $37 is refundable within a specified period, amounts spent on upsells may not be refundable. Hence, it is not a highly recommended product. I do not recommend this poroduct, it does not offer a stable and long term way to make money online, instead, check my #1 recommended product to making money online. Best of all, it`s free to get started so put your Credit Card away. Obviously, this idea is appealing, but sounds much too complicated. 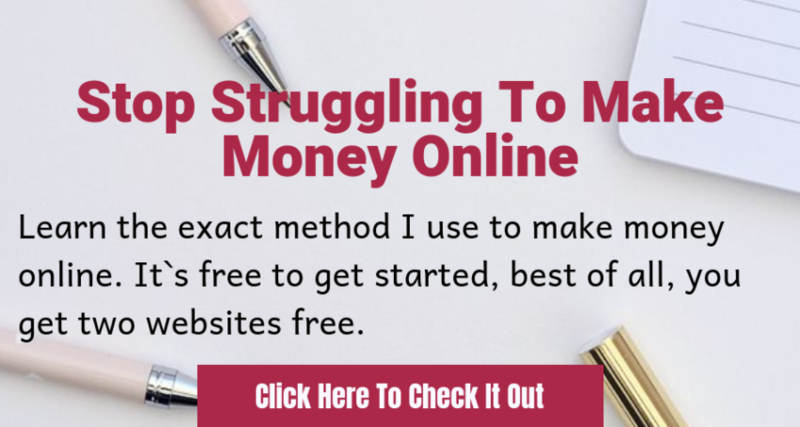 I am not saying that it does not work; I am saying that I am too tech-slow to get how I can get this type of tool to work for earning income. It requires an upfront fee, so it’s already beyond what I might invest in. Thanks for attempting to educate me on a method for earning passive income. Just glad you`ve decided Profit injector is not for you as it`s a program I will also honestly not advice anyone to invest in if they want to make money online.